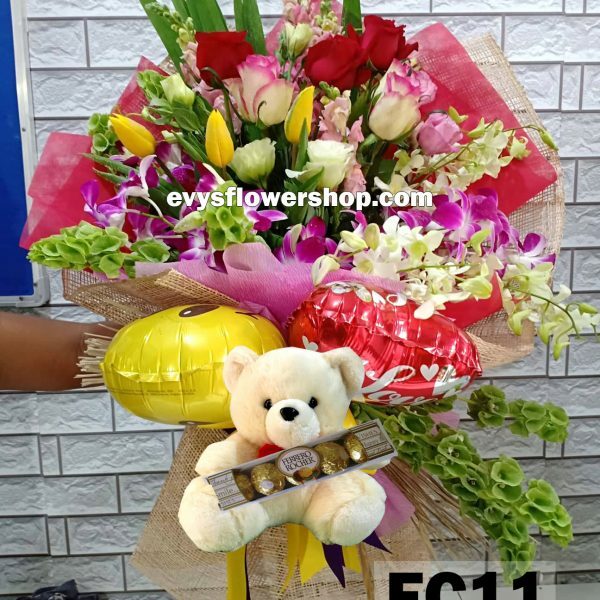 Bouquet of flower, content of bangkok roses, tulips, orchids and fillers wrapped with abaca fiber and tied with satin ribbon. 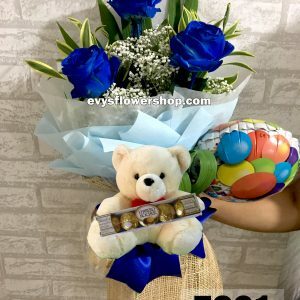 Accompanied by a 8-inch teddy bear, chocolate and free 1 balloon. 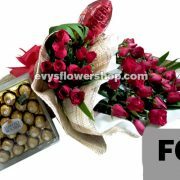 This gift is a classic expression that will let your sweetheart know your hearts most sincere intentions. Balloon can be change to i love you, happy anniversary, smiley, happy birthday and get well.